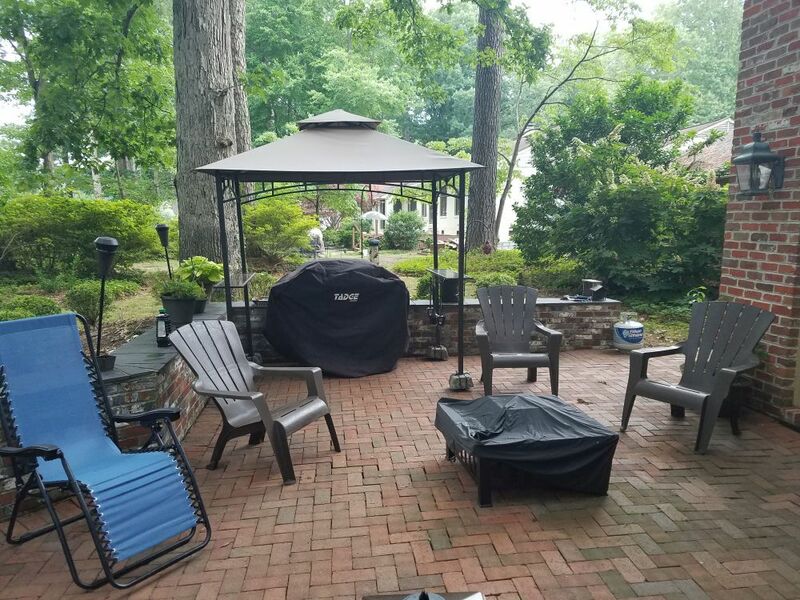 A view of half of our backyard patio set up at the new Virginia house. The other way is the patio table and chairs. This is a sweet set up and one of the main things that sold us on the house.